Bollywood celebrities and their doppelgangers always take the internet by storm. The musical app named Tik Tok is one such platform where theses lookalike of the actors showcase their talent and the uncanny similarities. There are various videos on social media that every day does round on social media. Well, the Tik Tok clips are hilarious and it will definitely leave you in splits. 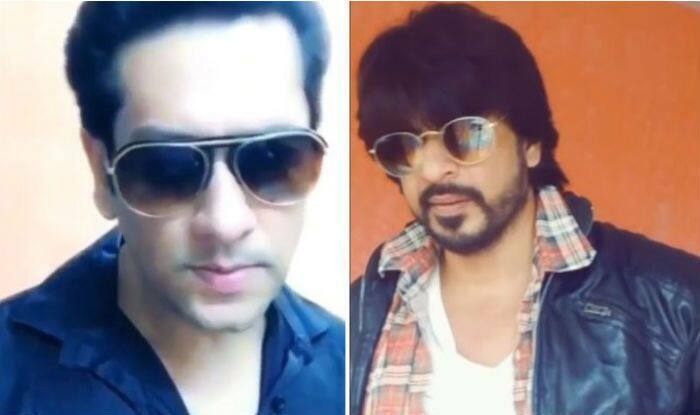 Now, a video of Badshah of Bollywood Shah Rukh Khan’s doppelganger is going viral on the internet. In the video mashup, he lips sync to popular dialogues from his films to giving his signature pose to dancing on his famous songs. He also rides a bike on the title track of don. Well, the video will make you wonder the uncanny resemblance of him with Shah Rukh Khan. Another video of Salman Khan’s lookalike is also taking the internet by storm. From supporting a clean shave look to a moustache look, the doppelganger’s similarities with Bhai of Bollywood is hard to miss. From Salman’s famous dialogues to his signature dance moves, the video will take you to the nostalgic trip. Not only this, but even Ajay Devgn’s doppelganger’s video is also going insanely viral. The hilarious video will leave you in splits and remind you of Ajay from the 90’s films. Earlier, Alia Bhatt’s carbon copy named Sanaya Ashu recreated famous ‘dhoptungi’ dialogue from Gully Boy. In the video, Sanaya has wrapped a pink scarf around her head and her expressions are giving major competition to Alia Bhatt. The app Tik Tok has now become popular in India and thousands of people make their short videos lip-syncing to famous Bollywood dialogues or dancing on popular tracks. Do let us know if you can differentiate between these doppelgangers and the original actors of Bollywood.